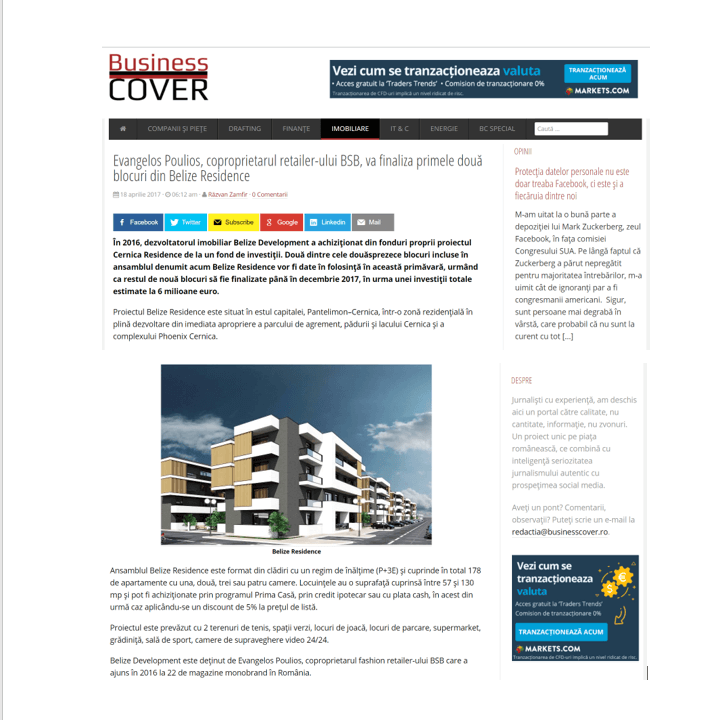 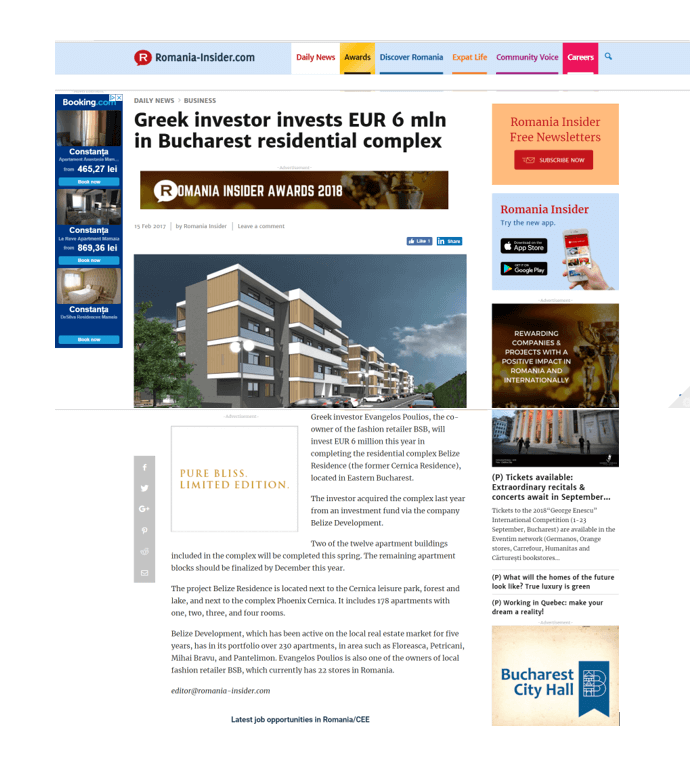 Belize Development is a real estate developer with premium projects developed in the best areas of Bucharest, being among the most modern projects in these areas. 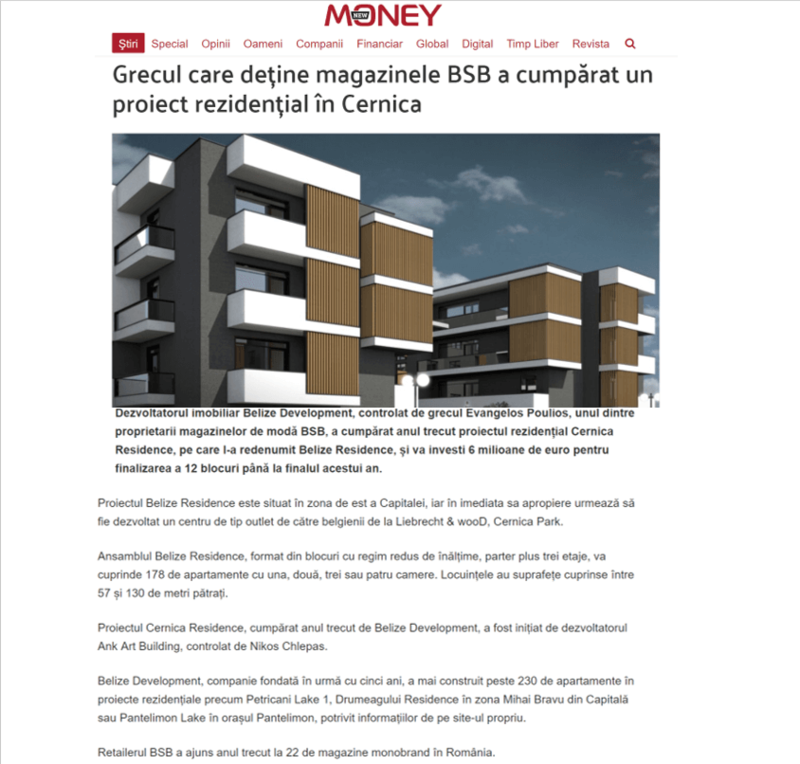 In 2016, Belize Development acquired Cernica Residence Project from an investment fund. 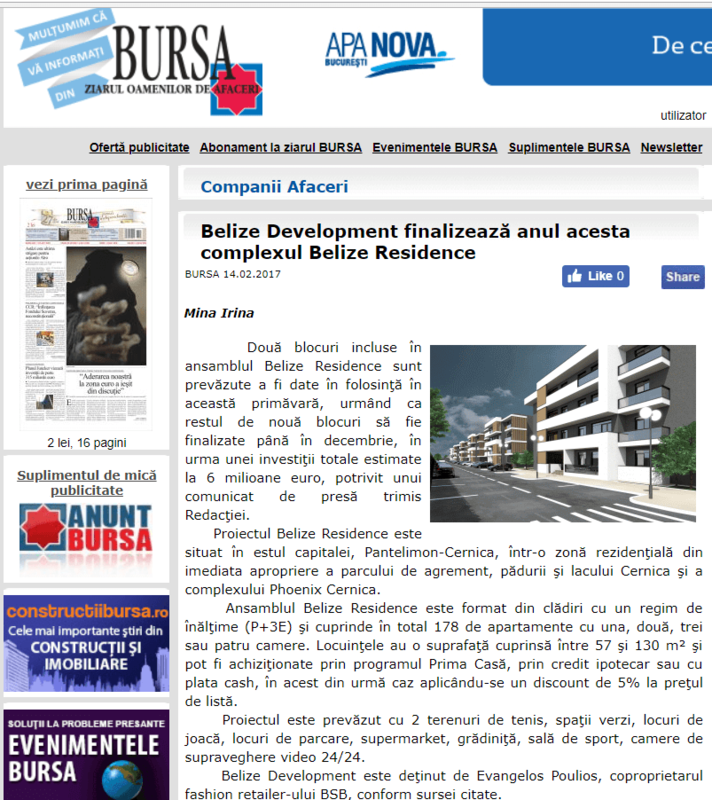 Two of the twelve blocks included in the Belize Residence were due to be commissioned early 2017 and the remaining nine blocks will have been completed by December 2017, following a total investment estimated at € 6 million. 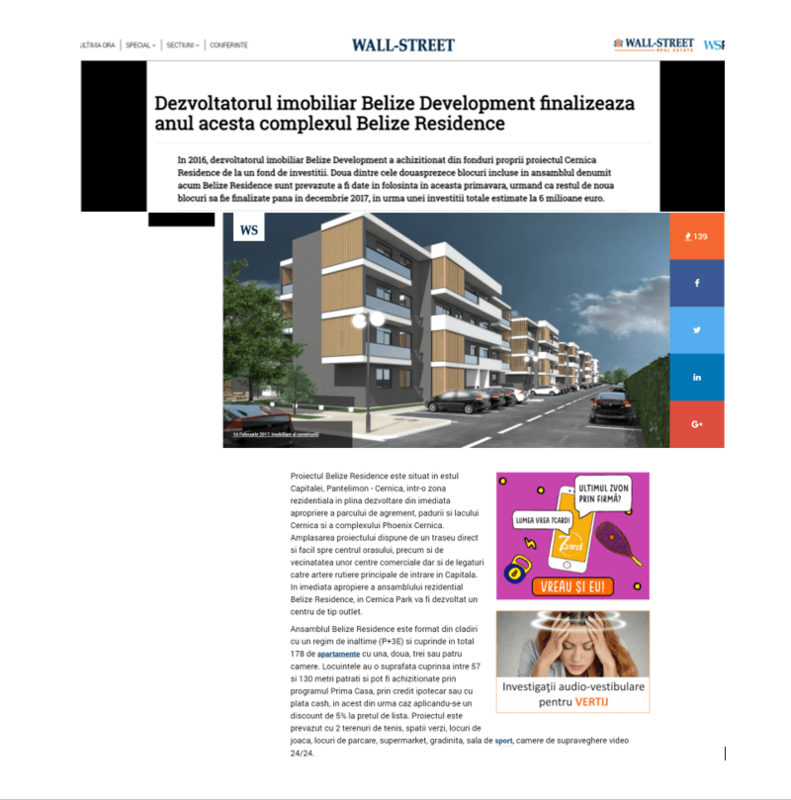 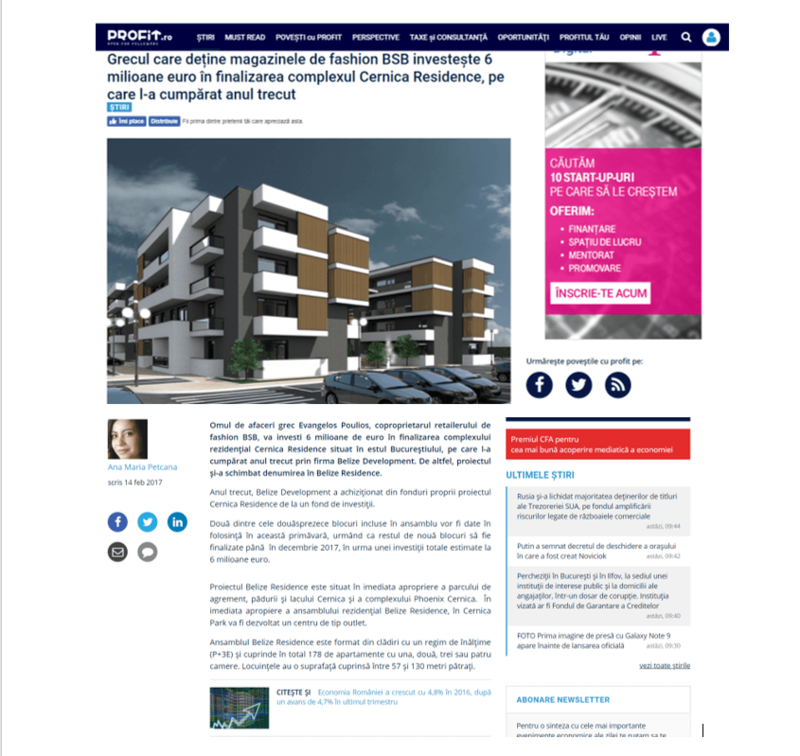 Belize Development wanted to inform their audience about the opportunity to achieve the apartments in Cernica Residence, as well as to raise awareness for the other residential projects they owned. 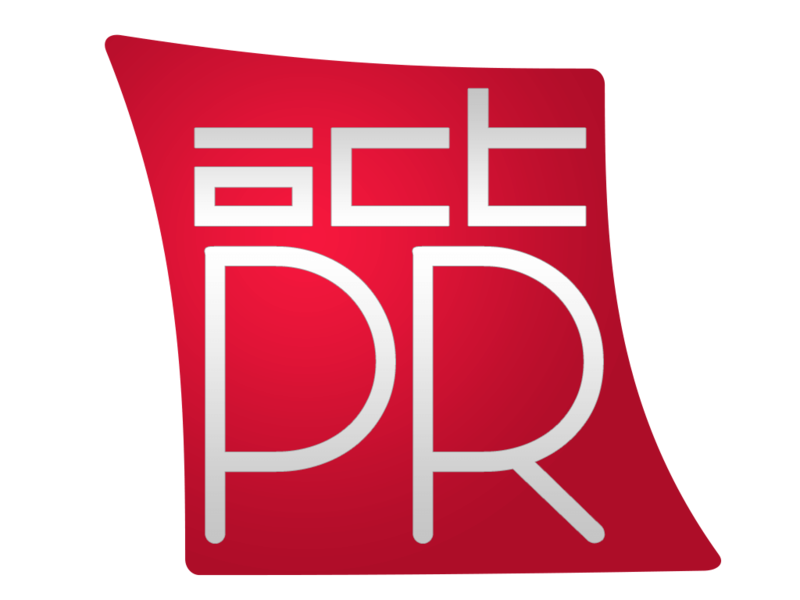 By establishing a strategic cadence of press release announcements, ACT PR helped increase Belize Development reputation as not only an innovative and modern real estate developer, but also an optimum choice for those who want to live as close to the business as possible and to those for whom the ideal environment is away from urban noise but with great facilities.